Scott Woodman is only halfway through his studies, and he’s about to test his expertise in the epicentre of Bendigo’s development… but first he’s helping out with open day. The second-year Bachelor of Business student and A-Grade Golden Square cricketer is majoring in accounting. Last year he interned at Bendigo accountancy firm AFS Associates and this semester he’ll complete a placement in the City of Greater Bendigo’s major projects department. It’s great timing for the self-confessed sports nut, as the department is currently working on two huge sporting developments for the city; the Bendigo Stadium redevelopment and Kangaroo Flat Aquatic Centre. “Kangaroo Flat is where I live so having an aquatic centre there will be pretty awesome,” Scott says. He thinks studying in Bendigo has been an opportunity to gain opportunities above and beyond the academic aspects of his course. But staying in his home town wasn’t always the plan. 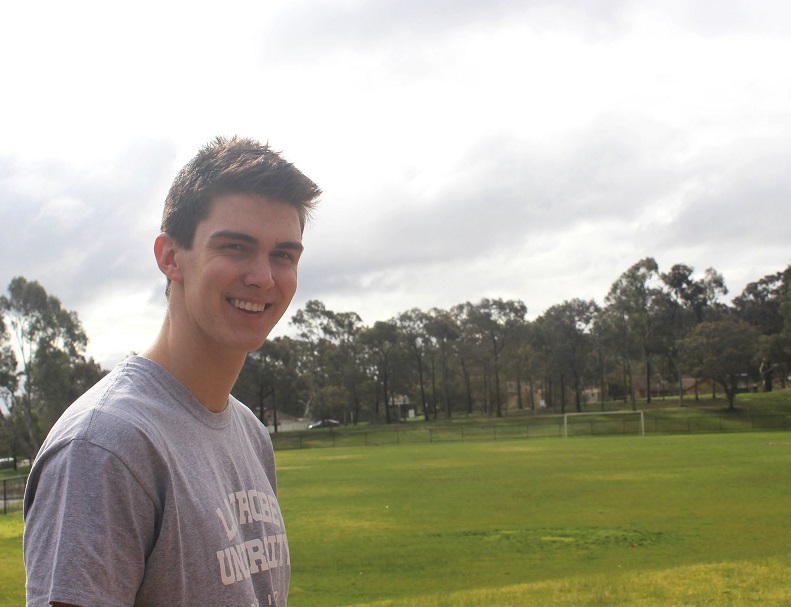 Scott came to an advisory day at the Bendigo campus in December 2014 to talk about courses and to find out what studying locally would be like. “I didn’t realise how big the campus actually is,” he says. “There are parts of the uni I don’t even know exist, but it’s small enough that there’s a really friendly vibe here and people will help you out if you’ve got things going on. It’s a big environment here but the people feel close. Then there’s the family business, where Scott works part-time. The hardware store, Abbott Supply, has been a part of Bendigo since the 1850s gold rush. Another example of Scott’s strong connection to Bendigo is the fact he’s been playing cricket with the Golden Square club since he was 12. He says his home town will always be an important place for him, but it’s also paving the way to a wider world. Scott is currently travelling to Melbourne for pre-season training with the Carlton Cricket Club, and he’s thinking about transferring to Melbourne to complete his studies – and pick up an extra major – in 2017. For now though, he’s helping spread the word to other locals on the advantages of studying in Bendigo. Scott is part of the student team helping organisers prepare for Open Day. It’s one of the biggest days of the year at La Trobe’s Bendigo Campus and it’s happening on Sunday, August 14.